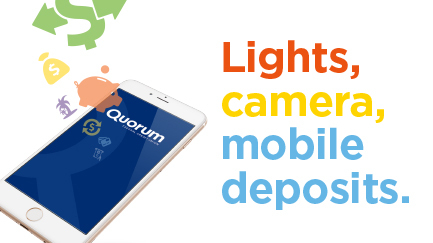 Interested in joining Quorum Federal Credit Union? Apply now! When it comes to managing your hard-earned money, it can help to have a community-focused team in your corner to get the most value out of each dollar. Joining a credit union is one way to experience the benefits of a cooperative financial organization where members work together for mutual benefit. But credit unions are redefining “community” and no longer mean just the “Mom and Pop” brick and mortar institution. From financial education and counseling services, to online and mobile banking, to nationwide service, to low rates on loans and high returns on deposits, credit unions provide a safe and affordable—and modern—alternative to traditional banking. Business model: A majority of banks are public companies that operate under a profit-driven structure designed to make profits for shareholders, or investors. Credit unions, on the other hand, are not-for-profit, cooperative financial institutions operated and owned by members. Each member has a vote to elect the board of directors (all of whom are also members and receive no compensation for their service). In a credit union, profits are returned to members in the form of low or no fees for financial services, lower interest rates on loans and higher interest rates (also called dividends) on deposit accounts like a savings account. Member service: Quite simply: banks have customers; credit unions have members. Do you want to feel like more than just another face in the crowd when you bank or have a finance-related question or concern? A community-focused, member-driven credit union typically offers a personal touch, felt through member interactions, counseling, and additional services like wealth management, insurance products, and educational content. And many now serve members nationwide, offering robust online and mobile banking services. While some banks also offer great service, most, due to sheer size, cannot provide the individual care and attention members of credit unions receive. Membership: Credit unions base enrollment eligibility on different criteria such as: geographic region, employment status at a specific company, a group of companies, geographic region, or other characteristics such as affiliation with a local charity, college or religious institution. As a member of a credit union, you own a stake in the organization and maintain voting rights for motions brought before the all-volunteer Board of Directors. Banks do not typically restrict membership, but keep their focus on earning profits from customers to support shareholders. Financial products: Banks, especially large commercial enterprises, offer consumers a wide range of services and products, but may also charge hefty fees to access them. Credit unions, on the other hand, provide products and services to support members’ needs directly. What credit unions sometimes lack in variety, they compensate for in superior service, lower fees and better rates for loans, and savings and term accounts. Fees and interest rates: Are you tired of paying a wide range of expensive fees for banking? Since credit unions are not-for-profit, they offer members no or low fee services and financial products with comparatively better rates on deposits and loans than banks. If your current savings account interest rate is as low as 0.01%, it might be time to check out what a credit union can do for you. Insurance: While both credit unions and banks insure deposits up to at least $250,000, the Federal Deposit Insurance Corporation (FDIC) insures banks and the National Credit Union Administration (NCUA) insures credit unions under the National Credit Union Share Insurance (NCUSIF) program. Both banks and credit unions are carefully regulated and are a safe place to store your money. The comparisons above provide an overview of the fundamental differences between a bank and a credit union, but what are some of the other benefits of membership in a credit union which you should consider? “Once a member, always a member”: Most credit unions offer the benefits of membership for life (these benefits may apply to your family members, too). This lifetime affiliation is valuable for members who retire from their employer or move to another profession and do not want to interrupt their financial services. 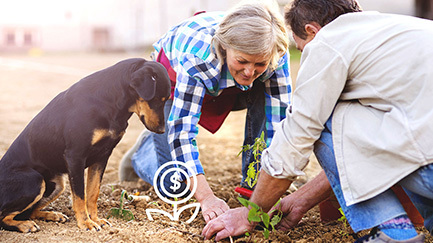 Personalized member-centric services: Credit unions offer more of a personal connection with members and some even help members overcome life’s various financial challenges through flexibility, advice and assistance. Enhanced education and advisory services: Credit unions focus on benefitting members through education, counseling and financial advisory services. This helps members make decisions that promote the financial outcomes they desire. Community-focused: A shared sense of community provides members with peace of mind, a connection to something larger than themselves, as well as loyalty and service to other members. Are You Eligible to Become a Member of a Credit Union? Most credit unions limit membership based on employment with a specific organization, affiliation or based on geographic area. Check with the credit union you’re interested in joining today to see if you may be eligible for membership.